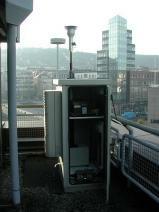 The instruments measuring air pollution and parts of the data collection and preparation devices are situated in two 19'' racks. 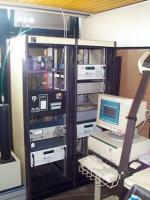 The dust meter is to the left of the racks, the data collection computer at the front. 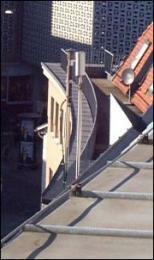 In the background, you can see sampling pipes leading to sampling heads installed on the roof of the Schwabenzentrum. 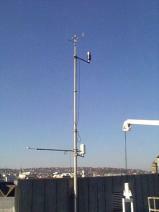 The meteorological instruments are fixed to an aluminium telescopic mast in an altitude of 10 metres.